There are anime that by the majority of the viewers are believed to be outstanding in each and every aspect (Cowboy Bebop probably won’t receive much objections) or conversely just don’t have any redeeming qualities (Mars of Destruction, even less objections). Yet, only a handful of shows tend to be well-balanced in all of their departments – for example having a good soundtrack sadly doesn’t automatically grant a good story. For instance my experience with Makoto Shinkai’s films (yet to see Kimi no Na wa.) has been rather ambiguous – the visuals are breathtakingly amazing but the stories often seem quite lacking. In this context Orange looks like a particularly diverse show – the story alone sometimes makes you laugh (sadly, unintentionally) and other times it surprises with wisdom. Other aspects also can be very polarizing in terms of execution. Let’s dig a little deeper and find out about the goods and the bads of this anime. Orange starts with a very fantasy-like event – a high-schooler (how else?) 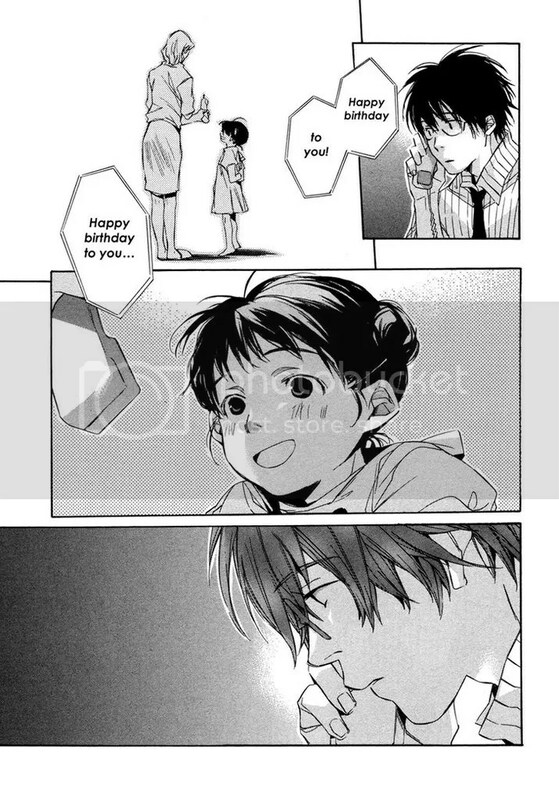 Naho gets a letter from her future self, telling about various regrets she came to have. The letter pleads Naho to experience a bit different life – to alter some of decisions that her future self made. Thus Naho would avoid frustration that many times is centered on her relationship with a new transfer student (again, how else?) Kakeru. As you see, the suspension of disbelief must be employed right from the start but hope that everything will be explained later on gives the story a little head start. Yet, in this very place the problems started. As I wrote in my remarks about Boku dake ga Inai Machi, an explanation to some supernatural phenomenon usually is wanted by the viewers but no explanation generally is a lot better than a bad one. And writing stories that involve time travel you have to put a damn much effort to think of at least a bit plausible and believable mechanism. 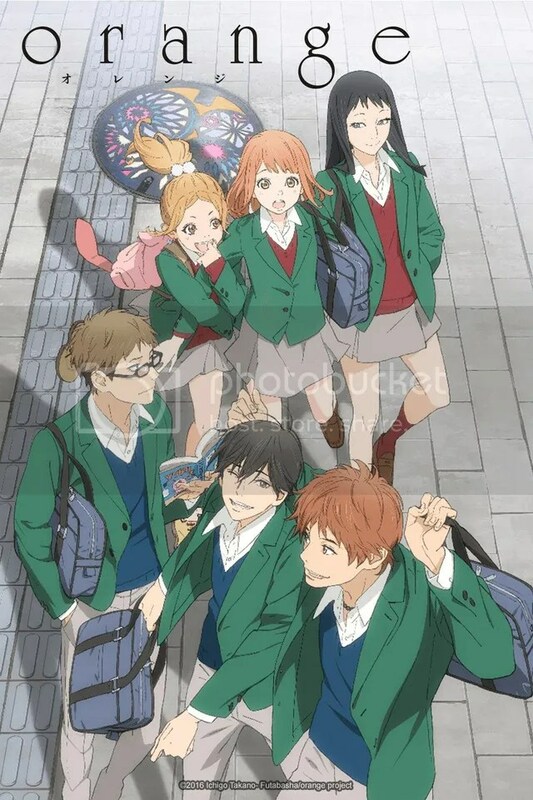 Of course, Orange isn’t a story centered on time travel and it’s just a plot device to get things moving, but the writer looks to have wanted to include an explanation at all costs, and it did cost quite expensively. All the build-up of emotions and the tranquility of the relationships between people get thrown out of the window when Orange tries to invoke all the means that sci-fi can offer – Bermuda Triangle, parallel Universes and stuff – to justify the premise and just wastes time making an effort out of a situation with no possible favorable outcome. Another quite huge plot convenience was Naho’s way of reading her letter. It seems that she didn’t even thought of reading the letter whole to the very end once she got it. Yes, Naho herself was troubled for some time thinking that knowing what will happen in the future isn’t right and it only steals the joy of making various decisions but in many instances some drama and uncertainty could have been easily eliminated if only she had had some brains to read everything. Also, it seems like the letter was deliberately made ambiguous with some information withheld and only to be thrown in at the last second. I doubt if anyone truly wanting to give exact instructions how to do something would be so imprecise and wouldn’t think at all about the problems that might arise (and do arise) for the person reading the letter and trying to behave according to the instructions. By the way, why Orange? Why not, say, Banana or Rhubarb? It looks like the author just thought about a cool sounding title and only then was reminded that a title should have some connection with the creation itself. 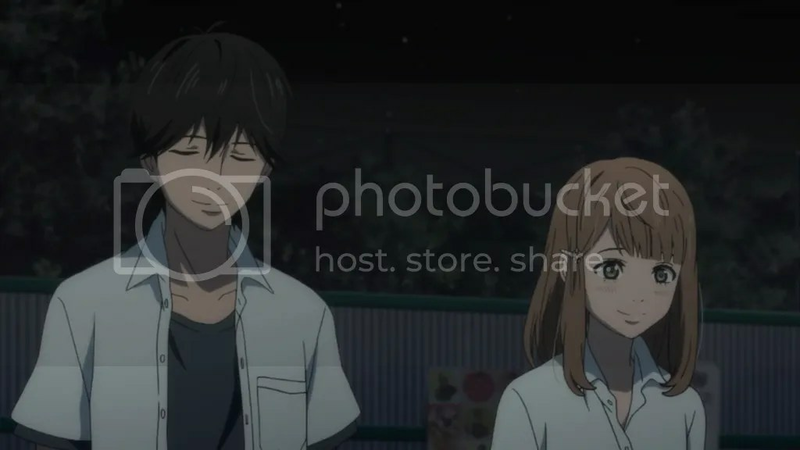 Sure, there is one scene where Kakeru buys Naho some orange juice as she asked when Kakeru was buying things for the whole group, but it’s a one-time-only motive that has no lasting influence. You can think what you want about the achievements and shortcomings of the story, but the characters do deserve appreciation. To think about it, barely anyone of the main cast is strong enough to carry the show or to be interesting by himself/herself, but it’s actually the whole ensemble of them that provides the best moments. Naho as a lead character is rather dull and could probably be best described as just a normal sweet and hard-working girl. Apart from her failure to read the letter whole from the very start, some pondering about the possibilities and outcomes of changing the future and general concern for her friends, she doesn’t appear to be exceptional in any way from a typical supporting character. Suwa, a sports guy with enough optimistic attitude to be someone to lean upon if necessary, Azu, your pretty much typical genki girl with a knack for making jokes of another guy in the group – not that sporty Hagita – who doesn’t really mind and looks to be enjoying that, and Takako, who usually remains in the background and doesn’t do anything special apart from just being there – that’s the group of Naho’s friends who together make one of the most well-made friend units that I can remember in anime. 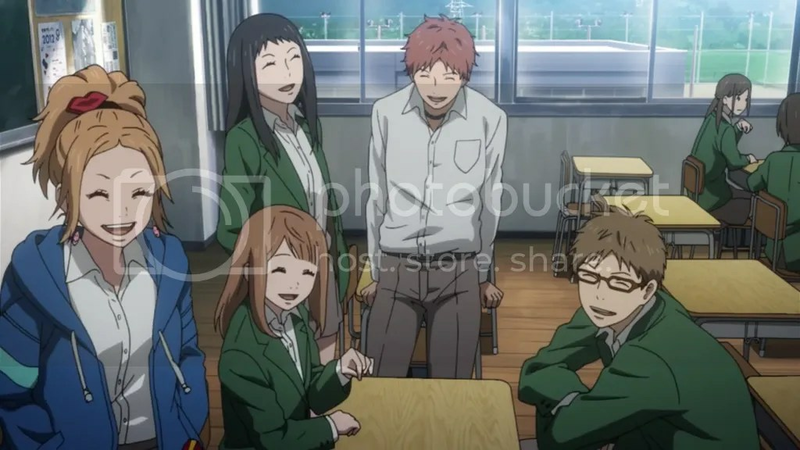 There are many scenes where nothing special is happening and all the group just talks about nonsense, small things, or just teases one another. You get the feeling that they are really comfortable together and if need be, would do anything to offer any possible help. 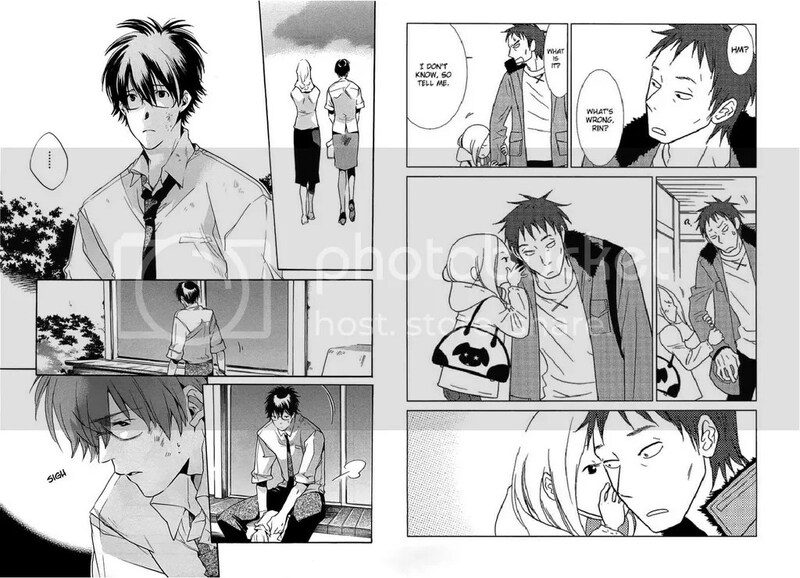 Then there is also Kakeru, a darker person (well, not only by his appearance), who is instantly picked up by the group and only by his own worries and insecurities doesn’t immediately become one of them as if he had known everyone for all his life. 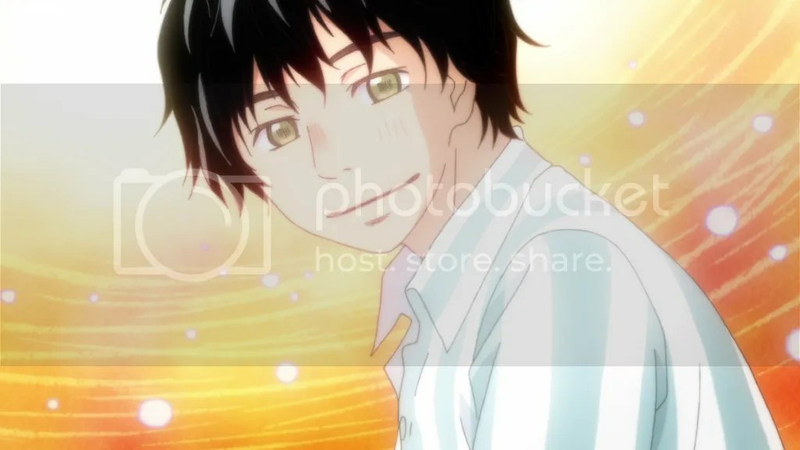 Kakeru has problems, and the show treats them very carefully and respectfully, pointing that in the real world such things are no joke and you may need all your abilities and more to help a person as troubled as Kakeru is. The animation is probably the weakest part of the show. The studio Telecom Animation Film previously hasn’t done much worth noticing and worries of many people proved to be justified as the season went by. If the OP of a show gets the best sakuga moments of the show it’s no big deal but when you notice that during the later episodes the OP becomes the only place to look for anything decently animated, there’s a problem. Using slow pans, lots of close-ups and barely anything moving eventually become a standard to be expected of the show and it’s a shame because the story really deserved better. Painfully CG-ish students, sometimes strolling across the backgrounds don’t offer much help, either, as well as characters shamefully appearing off model way more than I’d find acceptable for no apparent reason save lack of time and money. Looking on a brighter side, the visual concept of the show appears to be not that standard. I don’t know how common green jackets are in Japanese high-schools but these, paired with very whitish and washed-out environment, create a noticeable contrast and a memorable atmosphere. The pale surroundings remind me of another show that had quite a similar visual concept – Stein’s;Gate. Oh wait, it turns out that rather coincidently both of the shows share the same director – Hiroshi Hamasaki. I won’t say that otherwise Orange would have been a terrible show, but the presence of this man certainly did a huge favor for the visuals even with the very limited means that were available. Speaking about the soundtrack, I must return to the OP. As Orange was the show I started my summer season with, I was thirsty for something exciting and this OP just blew away all my expectations with immeasurable energy and sense of joy with some fleeting moments of sadness. For me Yu Takahashi’s song paired with the storyboarding and directing by the director himself somehow made this OP one of the most memorable of the whole year. The rest of the soundtrack, composed by Hiroaki Tsutsumi, doesn’t contain anything as striking, but as a background music it works really well. I don’t think I’d ever listen to this soundtrack as a piece of art, but sometimes when you just want to create some peaceful slice-of-life-ish atmosphere, many of the tracks work perfectly. As usually in such a show a piano and strings make up the largest part of the sound, also usually supported by guitars and an occasional violin solo. Looking to the soundtrack as a part of the anime, I can confirm that it blends well with the general atmosphere, usually remaining cheerful and managing to offer some seriousness during more emotional scenes. Orange is a really mixed bag – when it’s good, it’s truly emotional and beautiful, and when it’s bad you just want to drop it and never think about it again. Yet, the show certainly has character. I think the friendship was portrayed very well – the group of friends has a great chemistry, feels very genuine, lively and real, as if you could easily belong to it yourself. The quality of the visuals didn’t do justice for the story and even the story has many things to be criticized for, but it might not always be the case – there are opinions that all the parallel universe stuff could be thought of as a daydream of Naho, and in this way many unsatisfying things would nicely fall into places, but it’s your own choice to think what you will. 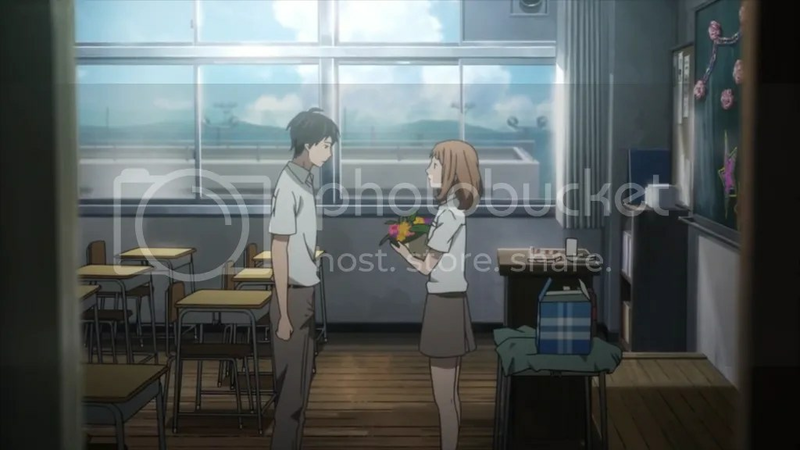 Of course since there probably are more plot holes in Orange than in a typical colander there still would be things to be disappointed about but at least for me the positives of the show had more weight to keep me watching. Despite all the shortcomings I still think Orange is worth giving a try. Maybe not anime but the original manga, but if you are able not to be bothered too much by all the dissonance of the sci-fi element (among other things) with the whole mood of the show you could certainly get an enjoyable experience, enriched by moments that call for more thought about living your life in such a way that your future self won’t have to judge your present self too harshly. Quite weird to be writing while a week hasn’t past from the last segment of MR, and even weirder to write only about one show. Well, that happens when everything has already ended and this 2 cour thing hasn’t. Anyway, regardless of your celebration preferences, happy holiday season! So we see the sisters again after some time and I got to say it’s refreshing. When the show isn’t delving into the depths of Rei’s self-centered regrets and internal pains, that’s what I’d like to see from other segments. The comedy this time was very bearable, with only very few times appearing marginally annoying as usual, but the general atmosphere of the Kawamoto house made up for everything that could have been not pleasing. An episode about New Year seems a bit (well, a week) early but the holiday spirit still encompasses the same mood. With the show cutting its comedy and balancing between Rei’s struggles and family life of the sisters, I could see it becoming a great anime. 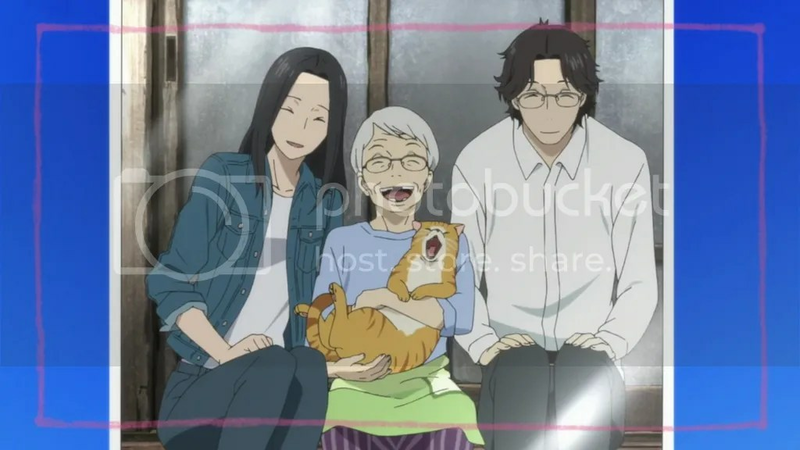 We’ve seen lots of Rei but once in a while getting some strong portrayal of a family that despite some chores being “a pain” still cares deeply for each other is a very welcome sight. Such welcome that it did make Rei smile, and I don’t recall him doing that recently, or, to be frank, at all. Much better this time. Now that we can see a fuller picture, the last episode’s silliness makes more sense (even if I still absolutely don’t approve it) as Rei is tested by two very different individuals who both in different ways via Kyoko pressure him to think what is more valuable – their well-being or his own. As I said previously, Rei just has to come into terms with the way things are – not everyone has only shogi in their lives, not everyone tries his/her best and is able to deal with the consequences. Yet, it looks like Rei finally has understood that even if he doesn’t like his predatory (sort of) instincts and actions, he can’t even stay afloat since without shogi he has nothing else. Kyoko’s role in this story remains very interesting – any mastermind toying with someone’s emotions brings more options to the story. Still, I can’t understand why Rei still lets her toy with him – he’s fully aware of Kyoko’s toxic personality so why he’s so attached to her so that he doesn’t shove her away or start ignoring anything she says? Kyoko’s also interesting in another way – does she really constantly do an in-depth research and analysis of Rei’s opponents just to say two sentences that might or might not make some tiny difference? Is it really worth her time or does she have nothing better to do? On an unrelated note, the visuals looksed extra beautiful, as did the music. That was a more or less standard Natsume’s last episode of a season. Nothing much to tell, as always. As much as I enjoyed it, I did that for purely nostalgic reasons, just as happens in the end of every season – there is a little and pretty much unimportant story going around and many of the supporting characters appear to remind of their otherwise not shown existence. Yes, it’s nostalgic to see some of them (and some of the others I don’t even have any recollection of) but I’m not that happy that they show up only to serve as a fanservice (of sorts) once a season. Otherwise the episode was a bit more playful than usual – getting that quite funny and not overlong sketch about Natsume’s fever dream, the two youkai, even if being idiots, showed some compassion and good will. Well, usual iyashikei feeling of the show, good news about 2 specials coming in March and April, and, most importantly the 6th season (that hopefully will continue many storylines from this one) announced – what else could I wish for? So, the show’s apparently aiming to get a second season, isn’t it? I don’t know what I expected from the finale but I’m quite positive that it was satisfying enough but not really astounding. Probably the first episode set the bar unsurpassably high and other ones were good, might be even great by the standards of other shows, but the effect the first episode had didn’t really appear anywhere else. The fact that Yurio won felt gratifying – Yuri chose to get his strength from emotions while Yurio worked a lot harder (not to mention receiving better coaching from a technical point of view). Overall I think this kind of ending is a bit too vague. Yes, probably everybody wants to see more of Yuris, but I doubt any development Yuri could receive from now on could be as significant to his character as there was already shown. 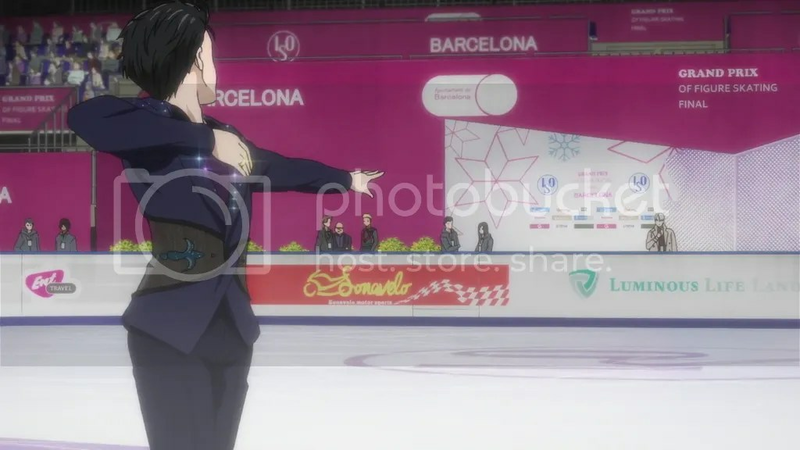 Sure, there are many things left unexplored – the relationship of Victor and Yuri is left open (well, that’s your romance anime for you), Yurio could use a lot more screen time, as well as other skaters. Yet, my opinion remains the same – a second season could be a nice treat but unless it would change the leading character and move the focus from skating performances somewhere else I doubt it could be as successful – it’s very easy to become just a clone with the same performances that could soon get boring despite being technically magnificent. A second season just couldn’t move people as much as this one did. It seems fitting that I write about Fune wo Amu last since out of all the final episodes I watched this anime delivered way better than others. The ending felt just like life is – bittersweet, but with enough hope to keep going forward. To think of it, Matsumoto began being featured more only a couple of latest episodes but because of the way others reacted to him, his circumstances and how much he actually meant for the team as well as the dictionary, I just couldn’t not get too emotional. 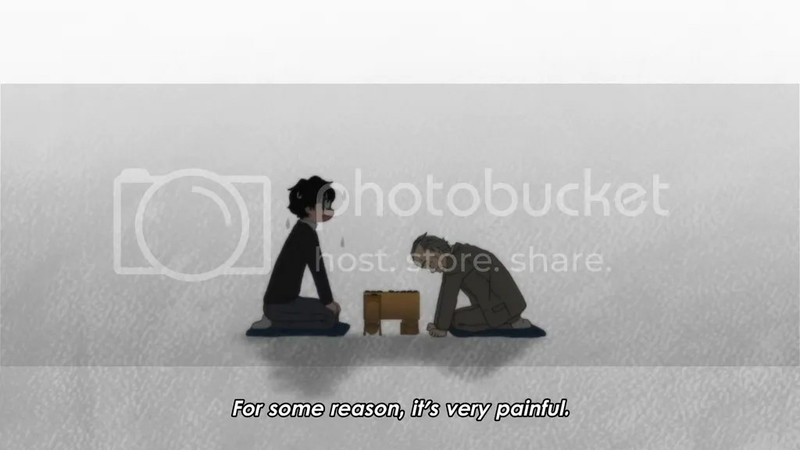 Anime characters not turning everything into an oversaturated melodrama but experiencing pain and sorrow as real people do is no tseen too often. 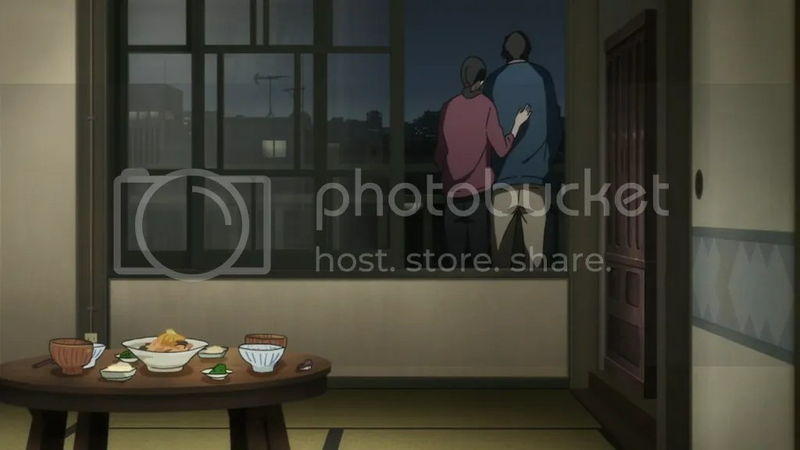 Also, even the tiniest scene showing Nishioka’s family completed his personal story beautifully and also managed to move me quite a bit. The overall ending being very satisfactory actually is no wonder since the anime was based on a novel which didn’t left much space for possible sequels. And that’s quite exceptional thinking about anime nowadays – everyone wants to leave an opportunity to continue a show that could sell well so receiving a complete and satisfactory ending without loose ends has become not that common. So yeah, just watch the damn episode as well as the whole damn show. It’s damn worth it. At times like these I really rue myself for not being able to ditch a show and still wanting to know how everything ends, even if it’s becoming more and more unbearable to watch. Yep, it’s my problem, but it’s also a problem for the show if my thoughts about this episode can be easily summarized by one screenshot with a certain line of monologue. You had one job, show. Setting up everything perfectly so that Rei could think about himself and his future as a shogi player, if he really is strong enough to want to win against anyone no matter their personal circumstances and the possible outcome of the match. Yes, there are all kinds of people but if you go such great lengths as reintroducing Kyouko last time and spending 1.5 episode for the whole story, I expect something decent, not just some cringe worthy comedy that (probably) no one requested nor needed. What’s the point in trying to elaborate the old man’s circumstances even after he’s shown to be totally incompetent as a shogi player as well as a human being? Maybe the point was just to make yet another build-up nullifying joke in the very end. You had one job, show. Call me humorless prick but I don’t find that’s funny at all. As the whole this season of Natsume doesn’t feel more exciting than previous ones, but when you think of it, it covers some fundamental things that have been asking to be talked about for a long time, and does it with the usual grace of Natsume – so far we got the previously unseen elements from the past of Natori and Tanuma, every second with Taki was a joy to watch and now we receive a story about probably the most underrated and forgotten pair of very beautiful characters – Touko and Shigeru. 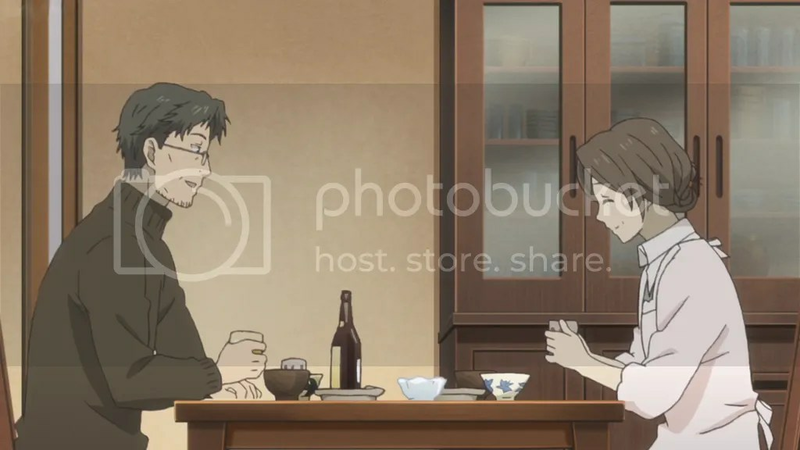 Sure, it doesn’t feel like much was told but even a glimpse of their everyday lives and mindsets that usually get overshadowed by stuff that happens to Natsume is very endearing. The crow may be thought of as a metaphor for Natsume – if he looks alone that doesn’t mean that he actually is, though taking care of it and showing compassion can make a lasting bond. 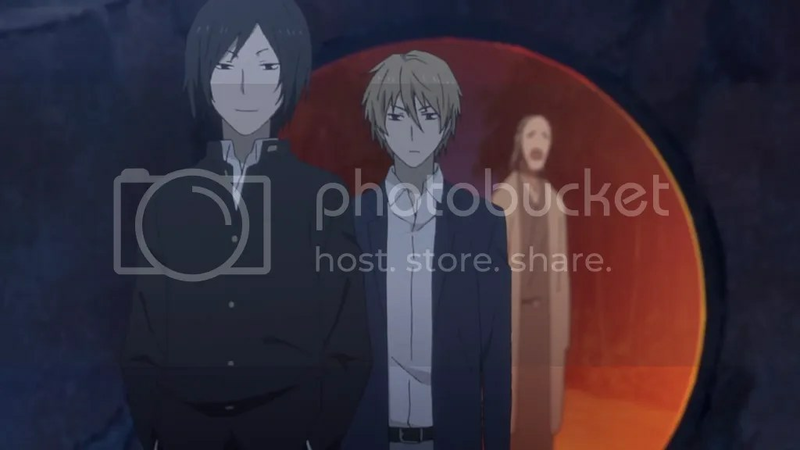 Also I find it heartwarming that as Natsume is always afraid of telling the Fujiwaras about his abilities, Touko, even not knowing anything but only seeing that Natsume gets troubled over something wishes to break that wall. And that would make an amazing episode. By the way, the ED has grown on me so much that I could place it above other EDs to be rivaled maybe only by the first one. Man, the next week just can‘t come too soon. The last episode being a breather from figure skating worked wonders – every program to me looked fresh enough and as outstanding as ever, even if from the technical viewpoint it may not have been. 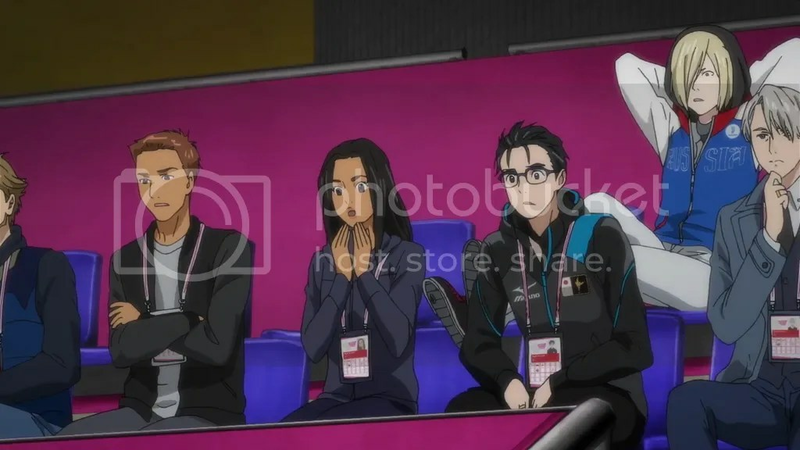 Cheering for Yuri was very easy and I’m a bit surprised myself for that because even the same program being used again and again every time is depicted just a bit differently so at least this time it still felt fresh enough. To think about it, even if most of other skaters haven’t been given much time to show their characters, pretty much all of them are individual enough to be able to cheer for them, too. 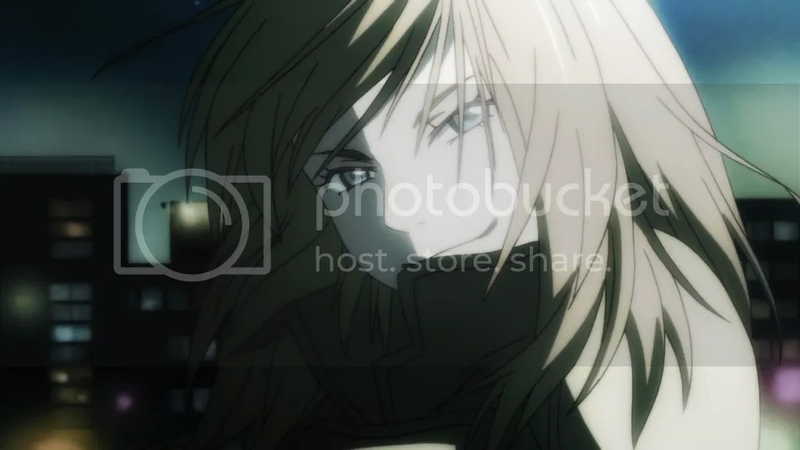 I’d have liked to see more Yurio during the whole season, but the earning of his record felt deserved and very right because probably no one else worked as hard as him. Even JJ, whose personality may not be that appealing, despite his arrogance deserved some pity and I felt sorry for his misfortune. Well, generally most of the skaters look like real and relatable people and that’s one of the successes of the show. And this particular episode for me was one of the more emotionally affecting ones, even looking as far as other shows this season. Not to mention that the episode perfectly built suspension to the grand finale. Another rather beautiful episode stressing how much work is needed to make a decent dictionary. All those scenes of people at their limit coupled with wonderful music just shine with optimism and passion. Well, the downside of it of course is the overworking and that isn’t strange at all for the Japanese and sadly for the anime industry in particular. Anyway, as the final episode is coming very soon I think we all are ready for it emotionally and in terms of the story. That little blue dictionary actually being the mascot of Daitokai is a very nice touch, bringing that pretty nonsensical segment of the show a little bit closer to the rest of it and in this way the mascot to the viewers really means more than just an anthropomorphized book. I don’t know if I just missed that the last time, but Nishioka looks to have a wedding ring and I’m really happy for him. It’s just a subtle gesture that doesn’t require much effort but speaks volumes. The same could be said about the absence of the grandma. She just doesn’t appear anymore but her fate sadly is quite clear. 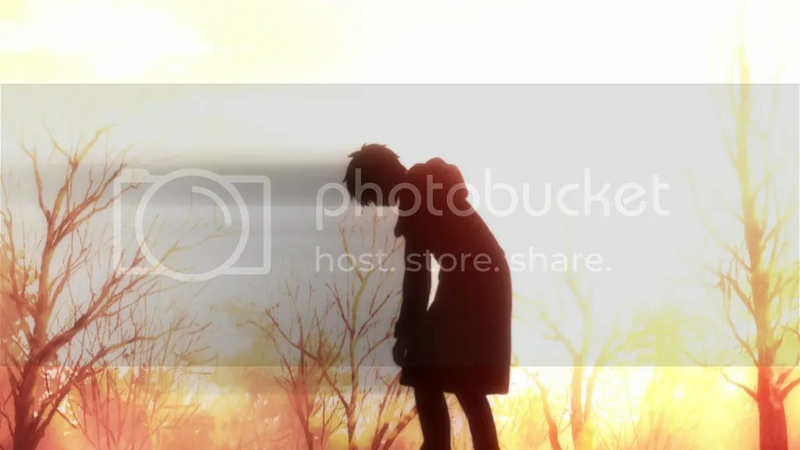 And that leads to the last seconds before the credits – no one in a room save the photo of Matsumoto and his wife. I’m afraid it means another set of sad moments. It feels a bit strange that my history of watching anime which heavily relies on romance and comedy motives is rather ambiguous in a sense that I usually have no idea if a certain show for me will be a hit or a miss. Such flagship of romance like Toradora! left me with a very sour aftertaste (and that’s probably the biggest difference I have with the public consensus about any more popular show) while Nodame Cantabile felt really sincere and heartwarming. Of course every show uses just a bit different combination of ideas but in my case it feels wrong but I appreciate Sakurasou no Pet na Kanojo for its depiction of a struggle to get a future that you want or Ore Monogatari!! for its comedy rather than the romance aspect of both of these shows. In this perspective comedy causes even more trouble for being a very personal preference and that’s obvious enough not to need any more elaboration. Pondering these things I decided to try some Kaichou wa Maid-sama! that appeared to have some fan following as well as be mildly funny after seeing some random clips on YouTube. 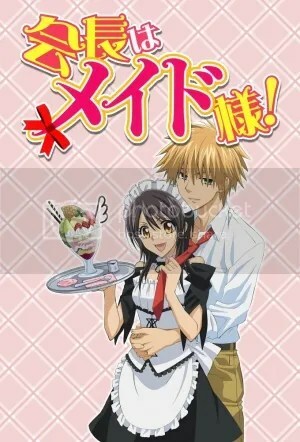 The premise of Kaichou wa Maid-sama! is a bit unusual and definitely plays a major role in catching an eye of a potential viewer. Not always do you get a random girl who tries her best (well, a shojou protagonist) while living almost a double life – being a school council president and a waitress in a maid café in her spare time. 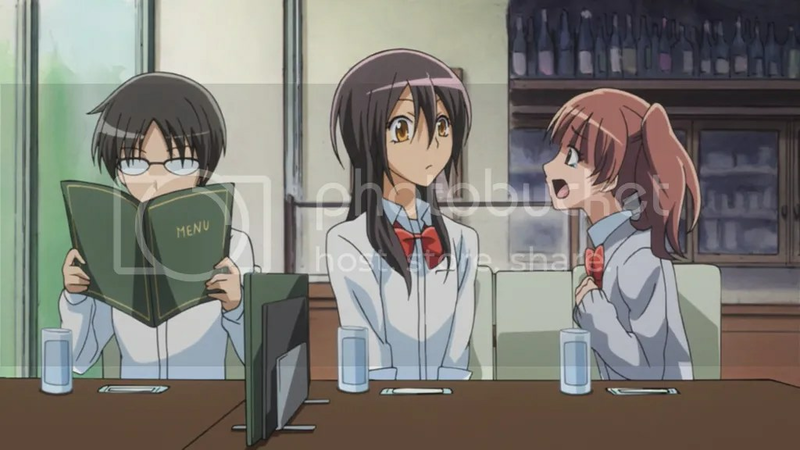 Of course Misaki, that being the girl’s name, is very flustered and ashamed about the situation and tries as best as she can to avoid her school and part-time job worlds to have the slightest common points. Of course it proves to be impossible when Misaki is spotted by the shoujo protagonist, Usui, who in terms of being perfect could almost rival Sakamoto from Sakamoto desu ga? and if you watched that anime you know it’s a big deal. It wouldn’t be a shoujo series if Usui hadn’t started frequenting Misaki’s café and tried to get close to her. Even if it looks like I just described a premise, actually that’s basically everything I could say about the plot even after all the 26 episodes. Well, apart from the fact that (oh, spoilers) Misaki and Usui very unexpectedly ended up together. And that is the biggest problem of the show – apart from having quite an unusual beginning, it does nothing interesting – all the characters just fool around, sometimes getting an episode centered around them (that hardly expands their personalities) and very huge part of the show feels like a filler. It’s not unusual to get the main couple together by the end of the season but when the development during the last episode pushes the story forward just as much as all the rest of the episodes combined, I’m not that content. There is also another thing that proves the shortcomings of the story – tell me, what is the point of introducing an osananajimi character when only just a few episodes are left and hoping that the viewers would believe he has the slightest chance of stealing Misaki from Usui? Well, if you have 2 people featured on a cover of the show and you constantly see those people, what are the chances that some random dude could get between them? By the way, everything ended even more hilariously (spoilers) – Usui got the main girl while the osananajimi ended up with… a tree. Yep, that’s correct. Just like this thing, the majority of the content felt very pointless and more interesting moments could have easily been reduced to a 1 cour anime, or even a film. The show even managed to give a whole episode adaptation of a totally unnecessary manga special that just had me thinking “get on with it already” all over again and again. Come on, that’s why we have a thing called OVA. Heard of it? To be frank, the show has only one character, and that is Misaki. She may not be the most exceptional shoujo protagonist but seeing a person who tries her best at every situation, has a strong relationship with her friends and is ready to do everything she can for them, you can’t at least a little admire her. Sure, there are other character aspects that make her less attractive (like overdoing her feminism activities) but that’s only human. The leading guy on the other hand for me looked like a perfect antagonist and I was very confused if the show really wanted me to like him. Well, sure, Usui has good looks and can do just about anything when the plot requires it (playing chess or volleyball like a pro, acting like a perfect waiter, rescuing Misaki from all kinds of situations – you name it). 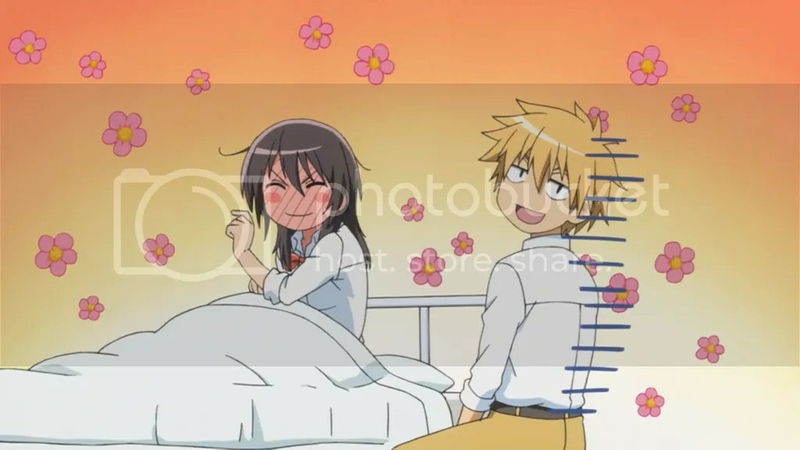 His perfectness in itself sometimes becomes annoying but that’s only a tip of an iceberg – Usui also among other things treats Misaki pretty horribly forcing her to the situations she doesn’t like, stalking her, being selfish, rude and arrogant so Misaki’s description of him as an “alien pervert” basically fits. Both of the ED’s try to hint something of a backstory of Usui but that’s too vague to hold any meaning. And that’s a shame because for the whole anime Usui receives no development at all – he remains exactly the same during all the 26 episodes. Well, it’s not a development heavy show but even Misaki’s character got a bit softened during all this time. I can understand that there can be people like Usui and they themselves can be not fully aware of their flaws but making such a person a lead guy in a light-hearted show is beyond me. The supporting cast is pretty dull – usually arriving only when there is nothing else to do but to be targets of some unfunny jokes. A bit of an exception could be Misaki’s sister who has a very weird quirk – an ability to win every lottery she participates in. Some other characters also appear to be not that common in anime – a crossdressing guy, a guy who generally behaves and looks pretty girlish… Oh wait, it’s just a bunch of slightly improved bishounens. Oh shoujo manga, you got me again. Visually the anime looks dated. I couldn’t believe that it was aired only in 2010 because it looks way older. On the other hand, J.C.Staff isn’t a studio you would remember thinking about amazing visual achievements. Aqua color backgrounds add much of slice of life feeling but that also makes things that get animated very easy to spot. Character designs are straight from shoujo manga – ok but nothing impressive, just as the animation. All this mix makes me wonder what force transported this show some 5 years in the future form the time period it should belong to. Well, the story didn’t require any special effects or performances and the occasional appearance of chibis (comedy time, how else) brought some variety to otherwise really average and unimpressive visual aspect of the show, so I guess the quality of the story correlates with the quality of the visuals. The soundtrack as everything else is a bit of a mixed bag. 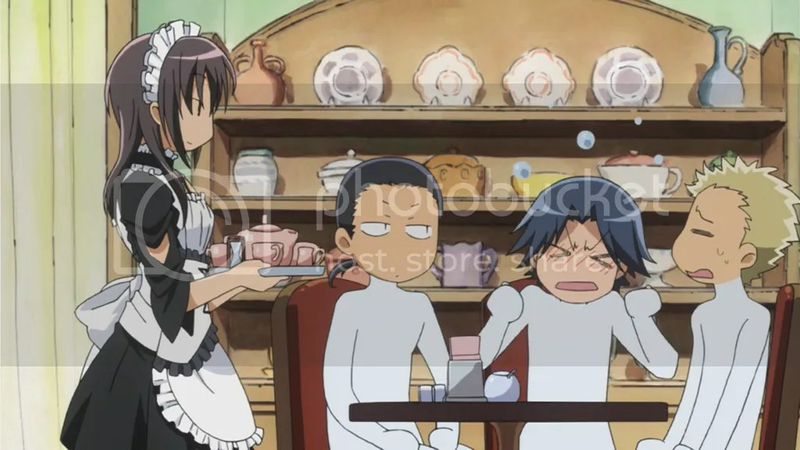 Some themes, especially those that are associated with Misaki’s café, give an appropriate Victorian feeling by being more of a classical style, just what you need thinking about aristocrats, maids and stuff. Some other themes are also quite catchy but for a 2 cour show there could have been more variety – even the most beautiful tracks could come on the verge of being annoying if you repeat them over and over again. Still, apart from some more interesting pieces of music the majority of the soundtrack remains easily forgettable and that again corresponds to the overall quality of the show. Overall as you can see I didn’t particularly enjoy Kaichou wa Maid-sama!. Generally it’s not a bad experience to see how it’s possible to play with various shoujo scenarios and how everything is affected by not that usual setting. Still, for me there are far more interesting shoujo anime or at least some that are able to achieve similar goals but using given time more efficiently. Also, the structure just screams “it’s a manga adaptation” and many actions of the characters happened just because the author wanted. Even when the confession happened (I doubt it’s a spoiler because of course it had to happen) I felt more relieved that it finally did more than being happy for the characters. It’s just the type of anime you have to enjoy (if you can) for the ride and not for the results. Should you watch it? Well, if you are a fan of romcoms that dwell on the feel-good side of things and don’t bother too much with an advanced story and characters, you certainly can check it out. Otherwise for someone like me who doesn’t have enough tolerance towards such things and looks at Kaichou wa Maid-sama! as something quite predictable, overlong and infested with silly humor, there are far better options to choose deciding what to watch next. A single man starts looking after a little girl, ponders about his romance perspectives and woes of a single father. The bond between the man and the girl becomes stronger and stronger, both of them also make a friend of a boy whose family circumstances are complicated. Now please guess which manga I’m talking about – Usagi Drop by Yumi Unita or My Girl by Mizu Sahara (yep, the pen name’s pretty hilarious, isn’t it?)? As this is more of an anime blog and Usagi Drop is fortunate enough to have received a brilliant anime adaptation by Production I.G (by the way, Usagi Drop is one of those rare cases when fans after receiving an incomplete anime adaptation remain more content than not, but more about it later), this may be your answer but actually the premise holds for both of the manga. Even some situations encountered by the characters are coming close to being identical. Yet despite striking similarities, My Girl and Usagi Drop remain vastly different. Let’s begin with Usagi Drop. The story follows 30-year-old Daikichi, who after his grandpa’s death decides to take in Rin, grandpa’s illegitimate child. The situation seems awkward since Rin despite being 24 years younger than Daikichi in theory is his aunt. The confusion doesn’t appear that important after all – Rin quickly adapts to her new life, as well as Daikichi. 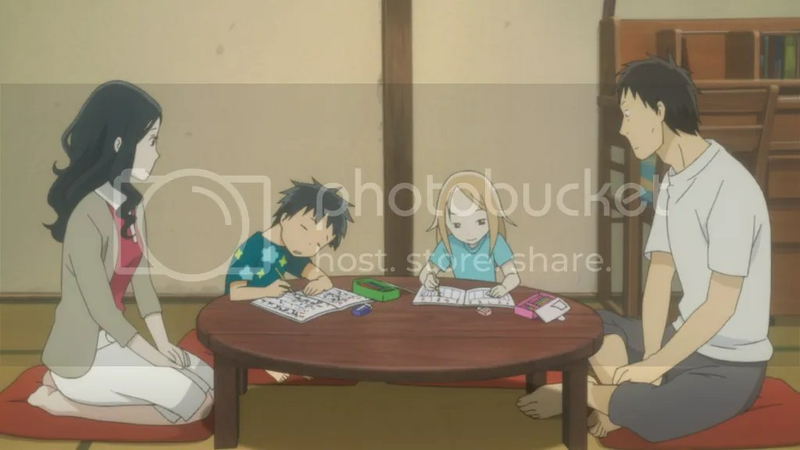 The story then revolves about everyday life of the new family, with some more interesting elements added, such as Daikichi trying to investigate Rin’s mother’s identity or the family making acquaintances with Kouki, a boy of Rin’s age, and his single mother. Some of the most heartwarming moments come from this cohesion of the two incomplete families, affirming that through empathy and care even broken things don’t have to feel broken. All the sweet stuff goes on for 4 volumes, as much as the anime has covered (and that’s the reason why it’s so good). Then the story takes a huge turn, introducing a 10 year time leap to the period of Rin being a high-schooler (with some flashbacks to Rin being in a middle-school) which corresponds to the volumes 5-9. The time leap isn’t bad in itself but it almost completely negates the premise of a father and daughter relationship told from the father’s perspective, as Rin (and Kouki) more times than not assume the position of POV characters. Later on, and that’s probably the main reason of the disfavor of many fans for the later part of the manga, a certain character pairing is introduced and some social inconveniences are removed in a very deus ex machina way. The last volume covers some untold side stories from the whole time period. Seeing Rin as a child again feels refreshing but at the same time a bit pointless because knowing all that’s yet to happen to that lovely family later on adds some bitter taste. My Girl begins in quite a similar way. 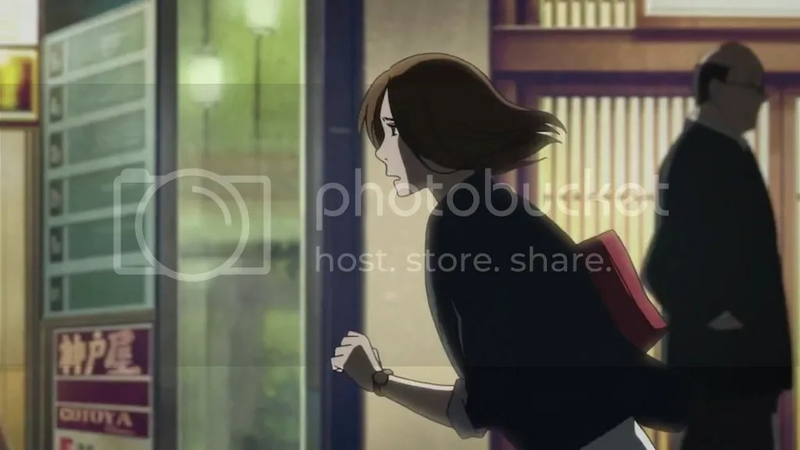 Much younger (than Daikichi) Masamune, sometimes struggling office worker, suddenly finds out that his long gone ex-girlfriend Youko died in an accident and that for Masamune, who still harbors feelings for her, it’s some devastating news. Even more unexpectedly it turns out that Youko had had a daughter Koharu by him without his slightest knowledge and now as the child somehow manages to find Masamune himself, he decides to fulfil his responsibility to Koharu, to Youko and to himself. 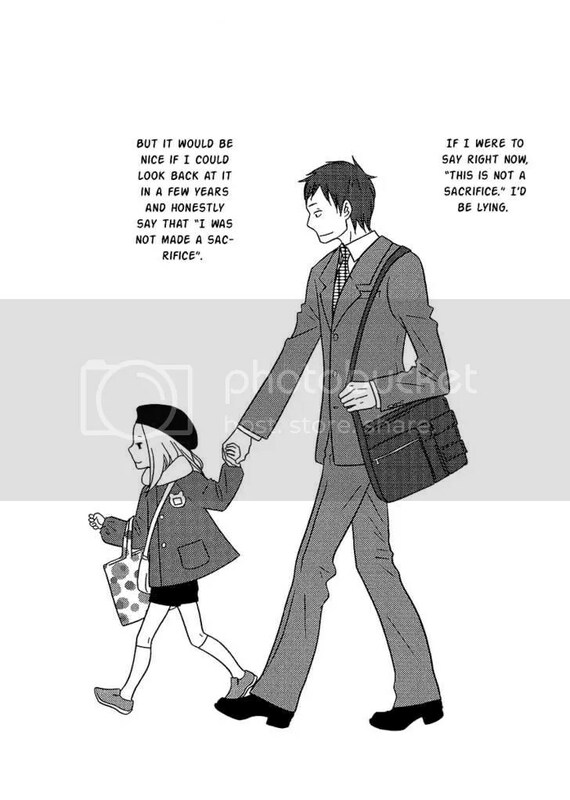 The 5-volume journey of My Girl doesn’t take any twists and turns as Usagi Drop did and even if Koharu is shown to grow, the story (also being shorter) doesn’t expand more than a few years which are more due to the different tales to be told rather than to be the focus of the change in the child and her needs. The only complaint I could have about Koharu would only be that she appears to be a tad too mature despite her age. Sure, traumatic experiences may hasten the process but to hear such deep things that Koharu sometimes says from a girl who’s not even a middle-schooler yet requires some suspension of disbelief. On the other hand, it accompanies the general mood of the story which takes a more emotional route than Usagi Drop which before the time twist was centered mainly on not so dramatic events. To start comparing things in more depth, in Usagi Drop Daikichi always remains the adult. Sure, later on Rin sometimes may hold the initiative, but at first every important decision must be carried out by Daikichi himself. Daikichi’s parents as well as the rest of the family in the beginning treat Rin like a very uncomfortable and irritating thing, almost not even a person so the responsibility from the get go is Daikichi’s alone. Later on seeing how adorable Rin is everyone warmed up but the center of Rin’s family world remained Daikichi. Masamune is far more inexperienced in such matters and when Daikichi tries to think out everything by himself, Masamune doesn’t shy to seek help from his parents and Youko’s mom. The family in My Girl look more cohesive and everyone tries to help Masamune in every way they can, even so when Koharu just like Rin wins everybody’s hearts. Another vast difference lies in the dissimilar romantic situations of the both of the fathers. Daikichi seems to be the embodiment of a middle aged man who still tries to get a partner but more and more just because of the social standards than from the actual need. When Kouki’s mom appears in the horizon Daikichi sure doesn’t remain indifferent but let’s leave the spoiler field untrodden. On the other hand, Masamune remains very strongly attached to Youko and is unable to move on by any means. His parents find that a bit troubling and try to take some measures but ultimately it remains Masamune’s decision to make. As Daikichi (sadly) doesn’t go through any more significant transformation (even if Usagi Drop tells a longer story), Masamune’s character arc of constant struggle whether to keep his heart for Youko forever or to change something makes him a very compelling, relatable and realistic character to read about. This also leads to Masamune’s discomfort of not being able to offer as much time to Koharu as he wants (and she needs) and provide so important maternal care. Daikichi doesn’t have such big a problem since Kouki’s mom usually isn’t that far away and is able to give help and also receive some fatherly help from Daikichi to her son. Going to a different level of comparison, I think the artstyle definitely favors My Girl. Of course that doesn’t mean that there’s anything wrong with Usagi Drop. There everything is kept fairly simple and minimalistic, which in turn adds to the light-heartedness of the general atmosphere early on. Character face expressions may not be the most complex ones but they convey the message pretty clearly and more times than not it’s enough. Also, it’s told that Daikichi himself isn’t the most handsome man and the depiction of him clearly shows that. For the other characters sometimes relatively ungraceful hands may not seem very appealing but that’s coming too close to nitpicking. On the other hand, My Girl can definitely be proud by taking an extra mile and making the characters look as realistic and compelling as its gets in manga. Sure, it may be just the matter of preference but Mizu Sahara (or however you find her signing as) holds the second place in my favorite mangakas (by artstyle) list only after Inio Asano. The only slightly weird feature I found in the art of My Girl is that the ears of the characters sometimes stick a bit too much for my taste. As well as emotions are portrayed in Usagi Drop, having a much wider variety of them as well as making the faces of the characters far more detailed, gives more points to My Girl. When emotions are involved, subtler facial differences make the characters more relatable, and more simple designs that fit well with comedic moments aren’t able to hold their position as well in this case. Well, after all I would gladly recommend both manga to read. 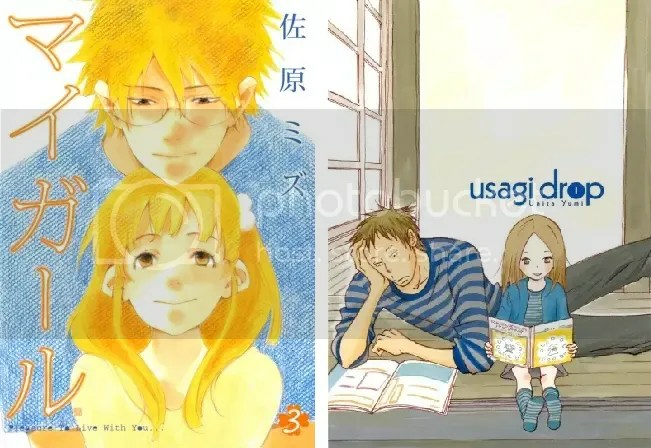 Usagi Drop is a bit trickier because for anyone who expects only a father and daughter relationship of the manga the second half may be hard to stomach. Yet, even the high-school drama should be easier to take than in most cases because at that point the reader already knows the characters and is invested in them. As far as the ending goes, I can only say that with a pinch of tolerance and open-mindness it’s serviceable. You may not like it as much as the first half (practically my case) but that can be treated just as a possible scenario. Not very probable but still possible. After all, life doesn’t always go the way you want. Anyway, if you don’t feel brave enough, the anime is always a safer route so you should check it out in any case. Yet, I feel that My Girl comes only slightly but still a bit better off – probably more relatable and emotionally affecting situation with a struggling protagonist who feels a lot more thrown out of balance because of the taking in of the girl and looks more accomplished by the end of the manga. 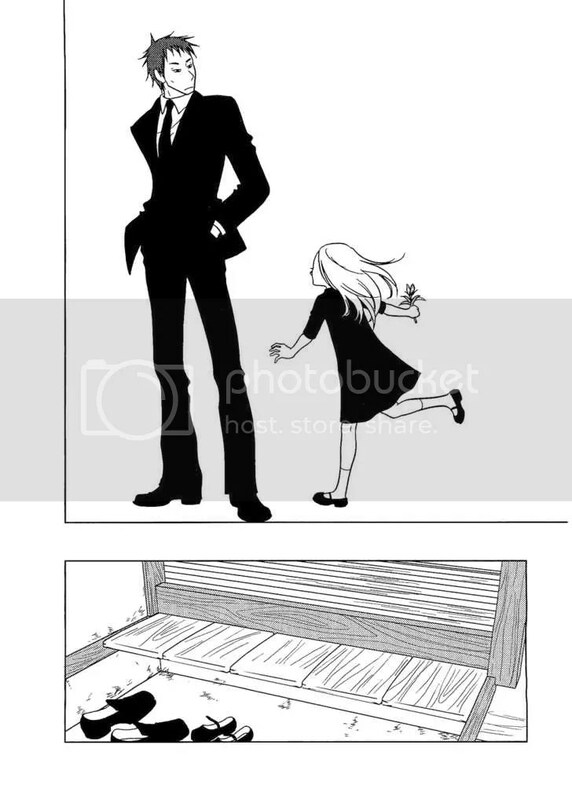 Anyway, both manga provide slightly different perspectives of a father and daughter relationship and though they share many differences, I think and hope that both are worth your time and fingers crossed they would provide an enjoyable experience. Once again I have to complain about the unevenness of the show. Generally if you want to become really good at something, you have to train especially that skill and commit all your time to it. Otherwise you can master some things each a little bit but that comes with a cost of not being perfect at any specific thing. And that’s exactly what is happening with 3-gatsu. Dancing cats as shogi pieces? Is it a show for preschoolers? I don’t say it isn’t amusing to some extent but there is no way you can combine organically such segments with other darker character pieces like the second half of the episode. Maybe the anime just has too much time to deal with. Well, Kyouko’s appearance moved things a bit and watching her play with Rei’s sense of empathy towards an old man whose long career may come to an end was really entertaining. I guess if you are into sports you just have to accept that if you play, you play to win and that means that someone else has to lose – there’s no other way. If you can’t deal with it, you can’t compete. As someone who doesn’t really feel affection to shogi Rei looks to haven’t been able to deal with it so the next episode should be more interesting. 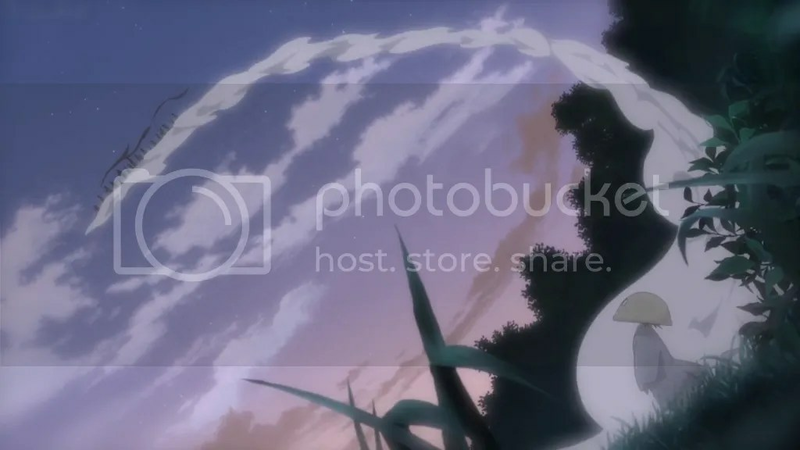 During the first moments I wasn’t impressed at all because there have been countless episodes that start by Natsume being chased by some youkai. Nevertheless, now I can count this episode one of the most moving ones of this season and maybe of the whole anime as well. Struggles of the little tsundere youkai must have affected Natsume himself much as he himself balances between the worlds and doesn’t always find it easy to cope with either of them. And we even don’t need to involve Natsume – the episode works perfectly to inspire anyone that hard work will inevitably provide results one way or another. 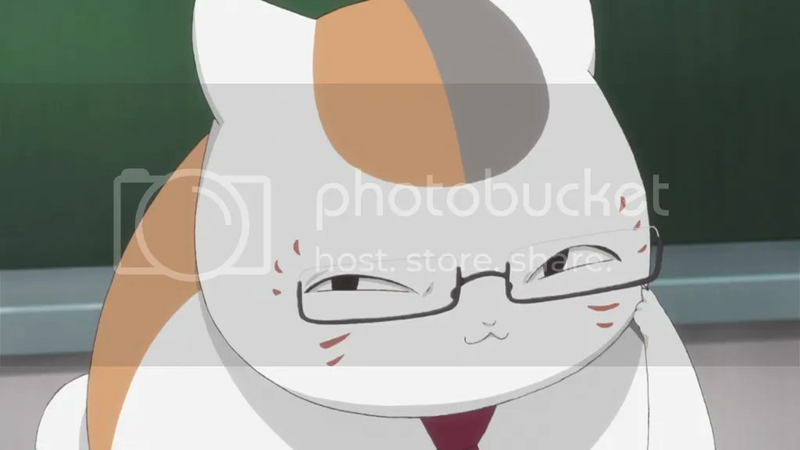 Also, Nyanko-sensei this time did nothing (as he always has been doing for a very long time) but this time it was actually useful, and useful “meat bun” is always a treat. By the way, the anime might as well be called One Punch Natsume because again and again he manages to defeat some youkai almost effortlessly (I wonder whether Natsume is strong after all or the youkai tend to have some weak spot and why Natsume doesn’t use punching as a way out of difficult situations more often). What’s more, connections don’t end here – as some people pointed out, the director of One Punch Man, Shingo Natsume, basically used his book of friends to invite so many talented people to that project. Weird. Finally an episode showing that the staff still know that life of ice skaters doesn’t consist only of ice skating. Ambition is a good thing but when I find myself cheering even if sakuga wasn’t as involved as previous times, there probably is something not quite right with the composition of the show. Anyway, this glimpse to the ordinary life of Yuri and the brief introduction of the last skater was pretty entertaining. 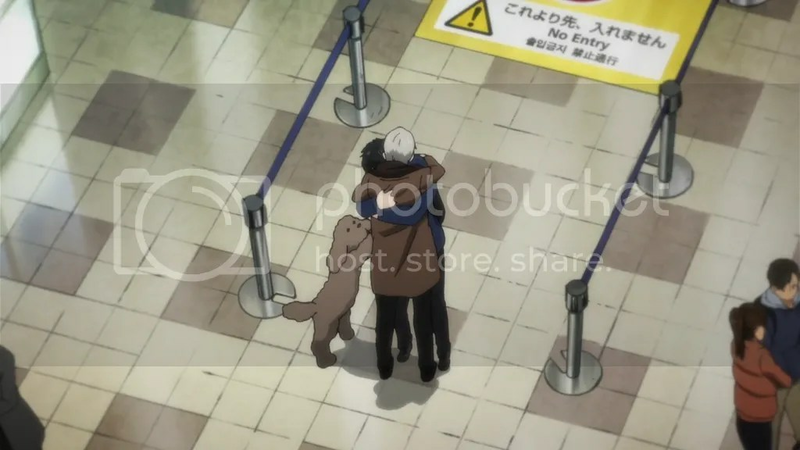 I think the rings’ stuff was a bit over the top (oh well, maybe Yuri’s brain has completely turned off before the big event) but the scene of exchange between Victor and Yuri was rather memorable and well made. Returning to the beginning of the episode, for some time it was sort of a recap and it, paired with Victor’s all-knowing voiceover felt a bit out of place, but not as out of place as usual recaps go, so I guess it’s ok. Well, getting a short grasp of air before the final stretch is a good idea and if it pulls out something similar to the first episode, it will be an outstanding final showdown. …And… what am I supposed to think about the ED? If I have ever forgotten how I love this show, this episode strongly reminded me that. It’s queer how little things that can probably make no sense on their own in a specific context make a huge difference. First, I must praise the soundtrack again and again, especially at times with no dialogue. I’m very confused and enchanted how a simple and almost nonsensical scene of a dude examining a sheet of paper can be portrayed to convey suspension and very uneasy waiting for the results. Kishibe, although introduced only during the last episode seems to have become an established character since I was able to sincerely be happy about her date arrangement. 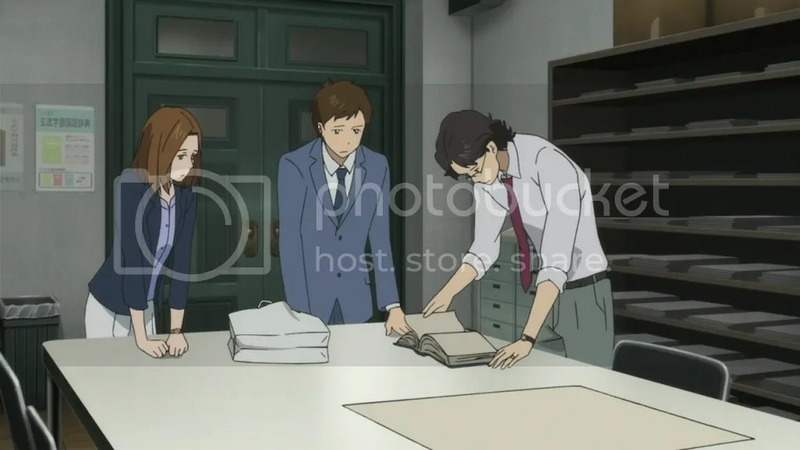 The old guy seems getting frailer and frailer and even if he hasn’t done anything substantial, I’d feel really bad if he couldn’t live long enough to be able to touch the physical copy of the dictionary, speaking about which I’m very intrigued what could be the grand scheme of Nishioka. My guess would probably do something with his girlfriend but who knows. And finally, Majime’s letter once again paired with Nishioka’s wits to take photos of it adds just another opportunity to make my grin that didn’t dwindle all the episode even wider. As someone who‘s still craving for some light cast on the past of Reiko, I can’t really say I was unimpressed by this episode that even failed to feature Natsume himself. Not that it was a bad thing. Still, I can’t remember any other such episode of this show that was a full flashback about some side character. As the series during the first half of the season took a turn to introduce the wider perspective of the world of exorcists, providing more knowledge about Natori and his standing among others is quite a natural thing to happen. I can’t say that the character himself improved or just was transformed in some way but reminiscing his first appearances, Natori started as a lighthearted and outgoing model guy with some powers and unsure allegiances and now finally ended up like a likeable and complicated human being with his own ideas, goals and methods. Seeing how he changed from the start as an exorcist and his first encounters with Matoba (and not in all ways for the best) you can’t not feel at least a little sympathy. Especially when Natori’s own complex beginnings add another layer to his wish to help and guide Natsume. You don’t need to have a PhD in Physiology to know about a process called adaptation – the body tends to stop paying attention to a repeated stimulus – just like you don’t notice a clock ticking all the time unless you pay attention. And paying attention to Yuri on Ice has been hard for me for some time. 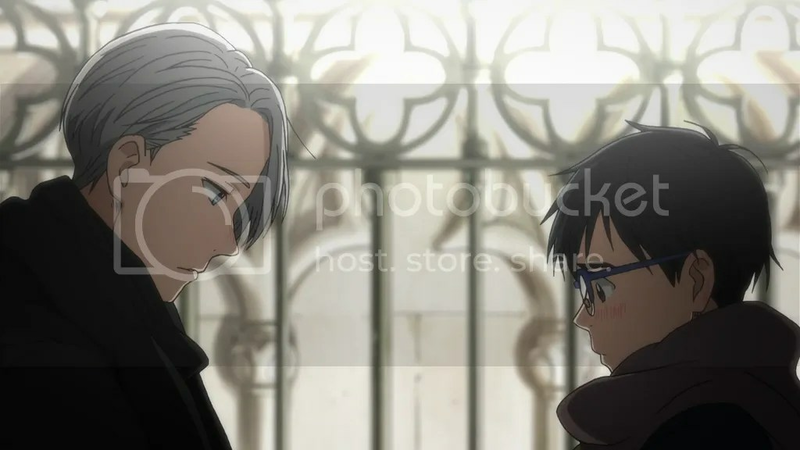 To be more exact, last four or so episodes were just the same – the skaters and their programs did change but ultimately the structure of these episodes was almost exact – everyone goes on with their little stories, Yuri has some emotional moment, skates and somehow advances forward. I’m sorry, but you can’t make me not loose attention when so little changes and I’m only told that the stakes are higher. Yes, the animation is still damn good but it also begins to fail to excite me – everything was already done before. Also those two or three shots of cheering public is not enough not to be noticed, even if the shots alternate. The episodes repeat themselves, the story lags and the show really needs something to wake it from this stupor. 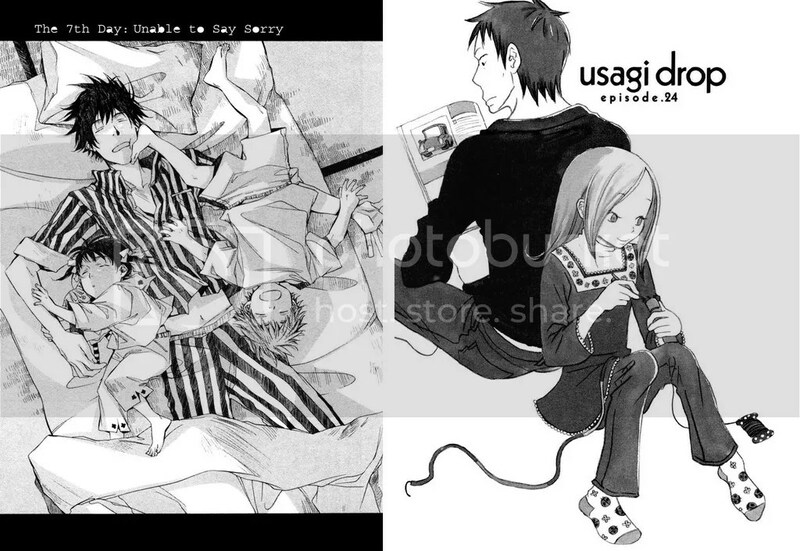 Since at the moment I’m also finishing Usagi Drop manga, I feel very mistrustful of time skips. Especially when huge story points like the wedding and the beginning of life together of Majime and Kaguya are not shown. I really looked forward to the developments of their relationship so now I feel a little bit cheated. However, seeing how things are now made for a very compelling episode so I can’t criticize it that much. Araki and Nishioka look older (and the old lady could already be out of this world), but everyone else seems to have been left untouched by time. Visual differences are not the only interesting thing – as Nishioka had become a really likeable character I wonder if his relationship is going well but I fear that it might not get enough attention since there is the newbie who may provide an alternative (compared to Majime’s) story of becoming good at the job. Well, it’s an adaptation of a novel so it’s not to be expected that every detail and slightest plot progression (as endearing as it might be) may be animated. The time skip must have been a necessary step to be able to portray the ending of the project but that doesn’t make me very satisfied. Still, I hope there’s lots of good stuff to be told yet and I look forward to it very much.